- Interactive workshops and presentations addressing burnout prevention and the importance of self-care (mind, body, soul, spirit) for physicians and healthcare teams. Jan 2019, Miami, FL. - Interactive, half-day seminar for healthcare professionals incorporating group coaching and personalized strategies in wellness (mind-body-soul-spirit) and burnout prevention. March 2019, Tampa, FL. - Presentation on wellness with a focus on physician leadership, Florida Academy of Family Physicians conference. May 2019, Orlando, FL. - Faculty/presenter at AAFP's Health & Wellbeing Conference. June 2019, Phoenix, Arizona. - Grand Rounds at hospital system for medical staff, attendings, residents, and medical students on physician wellness and burnout prevention strategies. June 2019. - Presenting Cultivating a Servant Heart Without Stressing Out. July 2019. - Presentation for healthcare team on physician wellness, leadership, and advocacy. Details to follow. - Consultation and presentation for hospital C-suite and physician leadership to assist with their physician wellness and burnout prevention strategy. Dec, 2018. - Keynote presentation now available as a webinar. Inspiring Change: Lifestyle choices made easier. Florida Medical Association Annual Conference. Orlando, FL. Aug 2018. - Keynote for physicians on leadership, service, and physician wellness. 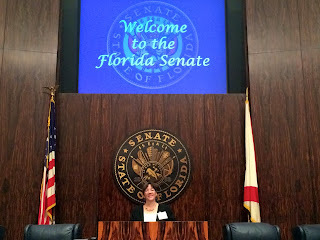 Florida Medical Association Annual Conference. Aug 2018. - FAFP Delegate to FMA House of Delegates. Orlando, FL. Aug 2018. - Keynote for 250+ physician and healthcare leaders. Tampa, FL. Aug 2018. - Keynote at national conference for physicians, residents, fellows, and medical students on the business side of medicine. Addressed the heart of medicine and discussed ways to empower physicians to take back control of their lives and future in medicine. New Jersey. June 2018. - Honored to address physician colleagues at the FAFP Summer Conference as part of our physician wellness series. Orlando, FL. May 2018. - Board of Directors meeting, FAFP. Orlando, FL. May 2018. - FAFP Physician Wellness Initiative planning meeting. Orlando, FL. May 2018. - Faculty at AAFP first Physician Wellness Conference. Gave three presentations as well as table talks to equip and empower our colleagues. Naples, FL. April 2018. - Thrilled to be chosen for a scholarship to participate in media training in Washington, DC. March 2018. - Honored to speak to over 600 physician colleagues on ways to maintain joy in medicine (all about physician leadership, advocacy, equipping). Florida Academy of Family Physicians Winter Conference. Amelia Island, FL. Dec 2017. - Board of Directors meeting, Florida Academy of Family Physicians. Amelia Island, FL. Dec 2017. - Invited by Congressman Pete Sessions to represent physicians and patients as a new member of the National Physicians' Council for Healthcare Policy. Washington DC. Nov 2017. Left the meetings inspired and full of hope! - Honored to represent Florida family physicians and patients as a delegate to the Florida Medical Association House of Delegates. FMA Annual Meeting. Orlando, FL. August 2017. - Presentation for physicians on burnout prevention and wellness. Florida Academy of Family Physicians Summer Conference. Palm Beach, FL. July 2017. - Board of Directors meeting, Florida Academy of Family Physicians. Palm Beach, FL. July 2017. - Physician panelist, Prolife Women's Conference. Orlando, FL. June 2017. - Presentation for medical students & interns on physician wellness and burnout prevention. FSU College of Medicine. Tallahassee, FL. June 2017. - Live (and live-stream) presentation for 115 medical students throughout our lovely state on physician wellness & burnout prevention. Orlando, FL. May 2017. - Board of Directors meeting, Florida Academy of Family Physicians. April 2017. - American Academy of Family Physicians Chapter Leadership Conference (participant & resolution drafter). Kansas City. April 2017. - FACTS Presentation on fertility awareness based methods of family planning at UF College of Medicine. Gainesville, FL. April 2017. - Florida Medical Association CME Committee meeting and accreditation surveyor training. Orlando, FL. March 2017. - Physician Leadership Development Challenge. Dec 2016. - FAFP Board of Directors meeting. Dec 2016. - Graduated from the FMA Leadership Academy. July 2016. - On the Road to Wellness: Physicians, The Triple Whammy, & Burnout Prevention.™ A presentation for young physicians. June 2016. - Webinar for physicians and other healthcare professionals and administrators. From Triple Whammy to Wellness: Physicians & the Triple Aim.™ June 2016. - Florida Medical Association Leadership Academy meeting. Orlando, FL. May 2016. - Honored to be one of six State delegates to the Family Medicine Congressional Conference. Met with legislators at the U.S. Capitol, Washington DC. April 2016. - Florida Academy of Family Physicians Board of Directors meeting. Orlando, FL. April 2016. - Presentation and group coaching for the Women's Interactive Network: Women Living Well: Tips for a healthier you! March 2016. - Led spiritual formation women's retreat at Canterbury Retreat Center. Jan 15-16, 2016. - FMA Leadership Academy meeting. Coral Gables. Jan 2016. - FAFP Board of Directors meeting, Amelia Island. Dec 2015. - FMA Leadership Academy, Gainesville, FL. Dec 2015. - Book signing, Winter Park, FL. Sep 2015. - Speaker during annual conference, Women in Medicine and Dentistry, Sep 2015. Cultivating A Servant Heart. CO Springs. - Presented webinar for physicians: Cultivating A Servant Heart. Coalition for Physician Wellbeing. July 17, 2015. 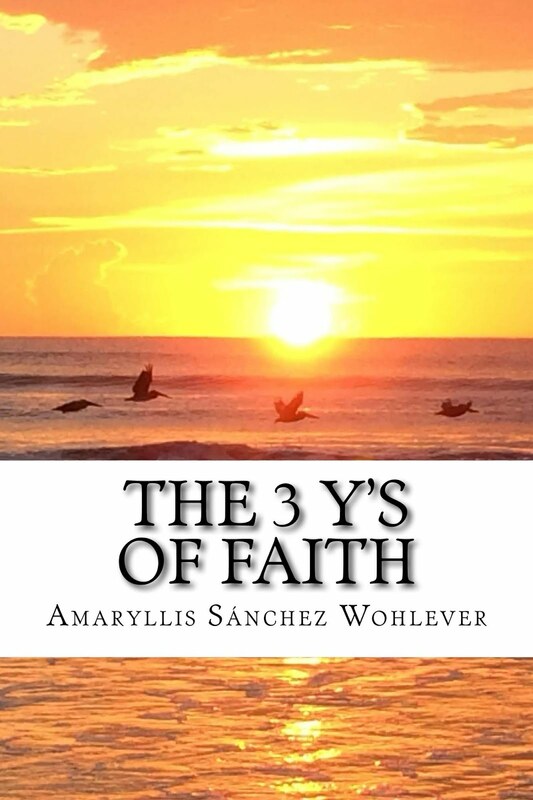 - Led one-day women's retreat on essentials of spiritual formation based on my book, The Three Y's of Faith. Inverness, FL. June, 2015. - Keynote speaker at annual Emergency Dept Summit, Orlando Health clinical team/leadership: From Burnout to Thriving in Healthcare. Orlando, FL. May 21, 2015. - Led worship service for physicians during Florida Academy of Family Physicians spring conference. Orlando, FL. April 2015. - Facilitated Finding Meaning in Medicine session for physicians and healthcare administrators. Ponte Vedra, FL. April 2015. - Preventing & Overcoming Compassion Fatigue (webinar for nurses/clinicians). Feb 11, 2015. - Retreat staff/presenter on the power of prayer (Show Me Your Glory). Canterbury Retreat Center. Dec 5-6 2014. - Presented webinar/facilitated discussion with physicians: Chosen, Equipped, Joyful in Ministry. June 20, 2014. - Cultivating Healthy Hearts in Business (Orlando Business Series, Latina Style Magazine). May 15, 2014. - Mentor/table leader, Entrepreneurship conference for girls (Girls Going Places). May 5, 2014. - Cultivating a Servant Heart in a Busy Practice. Presentations for physicians. April 2014. - Cultivating a Servant Heart in Healthcare (half-day seminar for healthcare professionals). Nov 8, 2013. - Living on Purpose: A key to contentment, peace, and effectiveness (one-day seminar, Institute of Christian Studies). Sep 21, 2013. - Walking with Jesus in Healthcare. Presentation for Faith Community Nurses. July 2013. - The Power of Testimony: Christian Community Health Fellowship Annual Conference, Atlanta, GA. May 2013. - Walking with Jesus in Healthcare: Opening devotion at Healthcare Leadership Retreat, Knoxville, TN. May 2013. - Walking with Jesus While Caring for People: Glennon House healing ministry. March 2013. 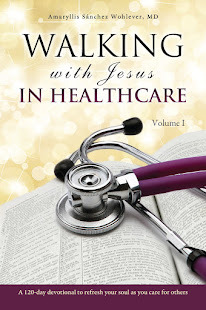 - Shared excerpts from Walking with Jesus in Healthcare with physicians during worship service. Physician Well-being Conference. April 2013. - When Faith and Medicine Meet: Table talks with physicians. Physician Well-being Conference. April 2013. - Known, Set Apart, Appointed: Canterbury Retreat Ctr. Feb 2013. - Find your Purpose: Inspiring high school students to seek, trust, and follow God. Jan 2013. - Celebrating Women as God's Masterpiece: St Luke's Cathedral. - Health, Hope, and Healing: A Taste of Wellness event for Breast Cancer Awareness, Ft Walton Beach, FL. - Knowing God Through Journaling: Clergy Wives' Annual Retreat, Delafield, WI. - Volume I of my devotional, Walking with Jesus in Healthcare, has inspired healthcare servants as far as Kenya and Australia. I am writing volume II (based on The Acts of the Apostles). For more information on this series, please visit my website. - I am writing a book on the purpose, relevance, and necessity of mourning the losses of life--a hopeful, inspiring book I've been working on for about seven years. It will be finished at just the right time ... likely not for a few more years! - I am writing a book for patients and another one for physicians. More to come in 2018! - Finished commentary on Philippians & Colossians for The Journey (published April 2018). - Honored to be interviewed by Dr. Clif Knight, Sr VP of Education for AAFP. Topics included physician wellness, burnout prevention, and physician leadership. We also discussed the Academy's initiative to address gender gaps in medicine whereby female physicians experience higher rates of burnout than their male counterparts. April 2018. - Interview with 4word, a national organization serving professional Christian women, Feb 2015. - Radio interview with TIME Magazine writer Maryann Makekau and author Rob Harris, May 26, 2014. - Radio interview with Jo Rathmanner on Connecting Faith Live, Jan 3, 2014. We discussed my book, The Ultimate Girls' Body Book (Zondervan). - Radio interview with Hope Matters and Rob Cares, Feb 2013. - Radio show guest with Healing Ministry at The Glennon House, March 2013. Thank you for visiting this rest stop. Linger a while, relax, and get inspired and renewed. Invite your friends to do the same and come back soon!